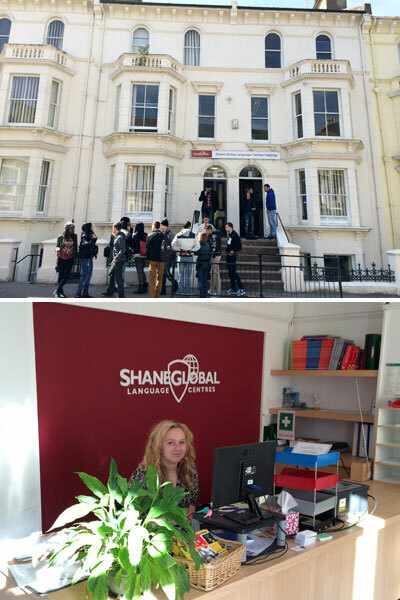 Shane Global Language Centres Hastings has moved and re-opened in Hastings town centre at its new premises: 43-45 Cambridge Gardens, Hastings TN34 1EN. It has a bigger building arranged on 4 floors rather than the current 6, with 17 classrooms and a student ‘common room’. It also has a café which will be run by a local businessman where students can purchase sandwiches, baguettes, snacks, and hot and cold drinks. The building also has a large, open and covered space to protect students from the British weather and a garden where students can sit outside, underneath the willow tree and bask in the Hastings sun.